Back in late September I wrote a blog post about how I had quit my day job to pursue my own dreams of being an independent mobile developer. Today I am excited to announce the launch of All Mobile Everything - my new micro-consultancy for mobile and tablet app and game development! All Mobile Everything is the byproduct of spending four months heads-down, focused on nothing but mobile and tablet development. In that time frame I managed to create and publish Word Search Little Books on Android, then on Kindle Fire, then on Windows 8, and now on iPad and iPhone (currently pending marketplace approval). I also worked on various other random mobile projects in that same time. It would have easily taken me a year to have done that work in my spare time while working a normal 9-5. To say I learned a lot would be a massive understatement - it's not like I hadn't already been doing mobile for a few years, but to be able to cram for 4 months straight was a great opportunity for me. In that same time frame, the phrase 'All Mobile Everything' came to mind - I actually mentioned it back in my blog post in late September. That phrase/mantra evolved into a business of the same name - with the same mission, to develop solutions on every major mobile platform, and to put mobile first and foremost. I'm going to be continuing this blog as-is, it will remain focused on my personal work and developer topics (expect screencasts on MonoTouch coming in the months ahead). But, there is also a new All Mobile Everything blog I'll be maintaining as well. That blog will be focused on mobile/tablet insights and articles for general business, and not development focused. There will be a few of the first articles rolling out in the next week or so - I hope you'll check it out! It's been a really fun 4 months since I started doing this full time. I can only hope my new venture will continue that along. If you know small businesses or local agencies that need help on mobile/tablet projects please keep me in mind. I am likely to continue focusing on MonoTouch and Mono for Android, so .Net shops looking to get into mobile would be perfect clients for me as well. You can contact me for work through the contact page on AllMobileEverything.com - thanks for reading! Word Search Little Books Now Available in the Windows Store! I'm very excited to announce that Word Search Little Books is now available for Windows 8 in the Windows Store! This marks the first app from SmartyPantsCoding to be available on the new Windows 8 platform. Word Search Little Books took a bit of work to port to Windows 8, but was largely done in under 4-5 days. The Windows 8 version supports in-app-purchases just like it's Android counterpart, and I am very eager to see how the marketplace works in comparison to other mobile platforms - so far it has been quite enjoyable. As part of the port, I added landscape support so that you can actually play Word Search Little Books on a normal Windows desktop - pretty cool I think. The app also supports snapped view, so you can play a word search on the side while you do other activities as well. Please head over to WordSearchLittleBooks.com or the Windows Store to grab it today. Please share with your friends via the sharing links at the top of WordSearchLittleBooks.com, or leave a review in Windows Store - I'd really appreciate it! Read more about Word Search Little Books Now Available in the Windows Store! Official Promo Video for Word Search - Little Books! The official promo video for my latest game Word Search - Little Books is now on Youtube! Please check it out above. Also, this week a Kindle Fire version of Word Search - Little Books was released - go get it now! 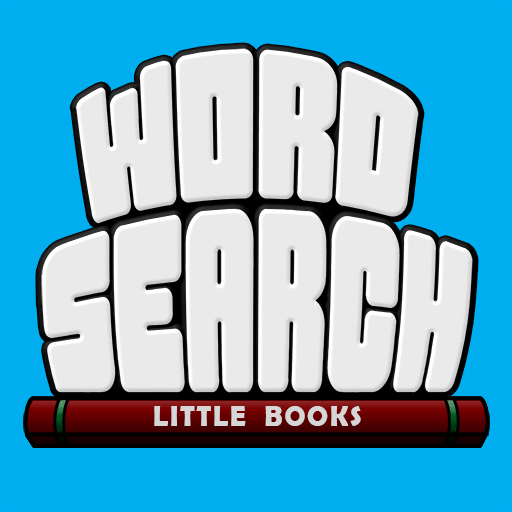 Read more about Official Promo Video for Word Search - Little Books! Adobe Brackets is an open source editor for open standard web languages (html/css/js/less/etc). It is totally free, and is a pretty exciting editor to try out. While Adobe says the editor isn't quite ready yet for prime-time, it can be a great tool if you are looking for a free open standards editor for web development. Written itself in html/css/js/less, Adobe Brackets aims to be incredibly extensible and is looking to build a community of contributors through GitHub. This weekend I rolled out large parts of the second phase of the reboot of SmartyPantsCoding.com. This time around the primary changes all centered around the homepage. You'll notice now that the homepage of SmartyPantsCoding.com serves as a central hub to all of my creations (apps, games, etc.) I have out in the wild. The homepage also teases the last two blog entries, with the full blog now residing at SmartyPantsCoding.com/blog. You'll notice the new homepage is also built as a responsive layout, so it should look great on any device at any size - something I'm pretty excited about. There are some issues left, specifically around the background and how it scales on iOS and HP Touchpad tablets, but expect that to be fixed in the coming days. One of the other changes I made was to rename my Youtube channel from SmartyPantsGaming to SmartyPantsCoding as part of my ongoing efforts to consolidate everything under one roof. Unfortunately, the only way to do this was to close the old account and open a new one. I plan on investing a good bit more time in creating video based content going forward, so it was best to tackle this now before I get started. Please take a minute and subscribe to my new channel, there will be new video content being added later this week. There are a bunch of smaller tweaks that were rolled out as well - you may notice a few of them while looking around. The relaunch of the product-centered homepage was the primary focus for this phase. While I still have a long backlog of things I plan on improving on SmartyPantsCoding.com, the main changes to the overall site structure are done at this point. You'll see new features rolling in over the coming months - but for now, the main focus is to get back creating great content for readers like you - stay tuned! I'm very happy to report that today I've deployed the first set of changes for the reboot of SmartyPantsCoding.com. The changes pushed today are a first step towards a larger set of changes coming to this site in the future. I have quite a list of changes that remain (some of which I'm very excited about) but I wanted to get the new theme rolled out so that I can get back to blogging on the work I'm doing. This site will remain primarily a blog, but expect other sections to appear later focused around promoting the various creations I have out in the wild. One of the main things you'll notice today is a new overall look to the site. I built this new theme using CSS3 media-queries for a responsive layout, so the new theme should work well across all devices - something I'm pretty excited about. I'm looking forward to other pages being added in the next phase which will benefit from the responsive grid. This new theme is built on top of Twitter Bootstrap - a fun piece of kit. Getting the Twitter bootstrapper to play nice with Drupal wasn't the simplest, but thanks to the Lullabot Bootstrap theme it wasn't too bad. The next big thing on the list is the new logo for Smarty Pants Coding. Gone is my awesome mug-shot, and in its place is an even more awesome caricature of my inner-coder. This new logo speaks a lot to me and who I am, so I hope you like it as much as I do. Expect to see this guy on all my work going forward. I'd like to give a big thanks to my friend Larry over at ecdesignco.com for doing the awesome illustration work. Now that this first big update is out of the way, I'm looking forward to having a place once again to blog about my various coding adventures. I have a handful of projects that are on my list, and a growing list of ideas for content around web development, mobile development, and other surrounding topics - I plan to get back to releasing new content soon. If you find any issues in using the new site, please send them in through the contact link on the about page, or over on Twitter. In the mean time, I have some THPS HD to catch up on.